I’m not in a player development department, and I’ll probably never be in that situation. I’m also not a medical professional, I’m just a blogger who enjoys writing about baseball. So if you want to stop reading, I won’t blame you. 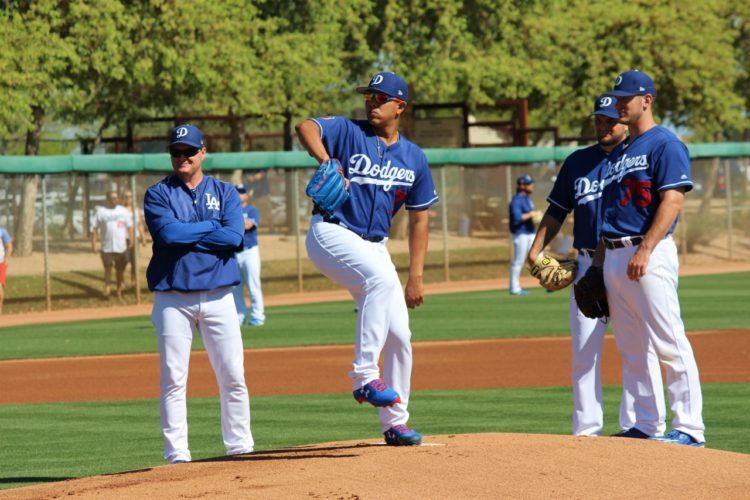 For those of you who have decided to stick around, get ready for a good old-fashioned vent session regarding Julio Urias, his development and his now-bum shoulder. News broke on Wednesday afternoon that Urias would be shutdown indefinitely. "We're continuing to gather more information," Dave Roberts said of Julio Urias, who isn't throwing. Second opinion/more tests on shoulder. I’ve spilled much Internet ink about Urias’ development while he has been with the Dodgers. Before the new regime took over, it seemed like things were going to plan — at least, as “to plan” as developing a then 16-year-old phenom could be. But since the non-Ned Colletti regime was implemented, Urias’ development has been mishandled by the Dodgers. I’m also not saying the mishandling has led directly to his shoulder soreness/inflammation, but it couldn’t have helped. Here’s what I wrote on July 24, 2015 after Urias was set to come back after his mid-season cosmetic eye surgery. It was later revealed by Dylan Hernandez in a column that the team, not Urias, pushed for the surgery, which acted as a way to limit his workload that season. The next year in 2016, Urias made his MLB debut in May but was promoted and demoted twice between being called up for good in August. And in an effort to save innings, he would have an inconsistent schedule where he would commonly switch back-and-forth between starting and relieving. The oddest run was between July 4 and August 3, when he threw a grand total of 11 2/3 innings, robbing him of a consistent workload. By the end of August in 2016, I thought it was almost time for Urias to be shut down, especially due to how the Dodgers handled his season to that point. Urias ended up throwing 127 2/3 innings in 2016, counting inning in the Triple-A, MLB, and the playoffs. That leads us into the 2017 season, during which the Dodgers have still failed to provide Urias with any semblance of a consistent workload, as Hernandez mapped out for everybody upon Urias’ demotion in May. “With only a few weeks remaining in camp, Urias was unaware of how the Dodgers wanted to use him in the upcoming season. “I don’t know what the plan is,” Urias said at the time. Positive intentions were behind the confusion. The Dodgers wanted to protect Urias’ arm, which pitched 127 2/3 innings last season between the majors and minors. To avoid a significant increase in workload that could jeopardize his health, management was prepared to have him miss part of the season: the beginning, the middle or the end. The most likely choice was to delay the start of his season. But the Dodgers didn’t want to fully commit to that, which would have required them to postpone the start of spring training for him. ‘Because of not knowing how guys would get through spring,’ said Andrew Friedman, the team’s president of baseball operations. This required Urias to train over the winter as if he would be part of the opening-day roster. He said he threw bullpen sessions earlier in the winter than in the past, but was slowed down in spring training, where he was placed on a throwing program that resembled that of a long reliever. Urias continued throwing at the team’s spring-training complex and made his first three starts of the season in triple A. Between the exhibition season and the minor leagues, Urias wasted innings that he could have pitched in the major leagues. Far be it from me to agree with Hernandez on almost anything Dodger-related, but he and I share similar thoughts regarding this issue. I was OK with the Dodgers starting Urias in the minors, but to read they didn’t have a definite plan for their prized pitcher was baffling. Then for it to be contingent on other potential injuries — when there’s already a logjam of starting pitcher options — made it that much more baffling. If Urias was going to start the season anywhere but with the Dodgers, then they should’ve let him know as soon as was humanly possible. Also, I’m shocked he wasn’t just held back in extended spring training. The results of his outings don’t matter at any level other than the majors, and if they had kept him at Camelback Ranch, they could control the environment on the back fields and have him work staying sharp and keeping his mechanics in sync. Instead, they started him at Oklahoma City and, effectively, were using some of his limited innings at a level that wasn’t the majors. Now Urias is ominously out indefinitely with inflammation in his shoulder. That was the original diagnosis after Urias saw Dodgers’ team doctor Neal ElAttrache, but the quote from Dave Roberts about second opinions is awfully disconcerting. This has been a truly unique situation. 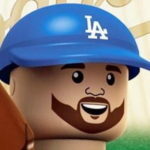 There hasn’t been a kid like this in recent memory, and the Dodgers were in a tough spot in terms of helping him develop. I’m not saying handling Urias in the way I preferred would have been a guaranteed method to avoid this current mess, and I’m not saying the way the Dodgers have developed him thus far led directly to this injury, but the constant starting/stopping, inconsistent workloads and no clear plan can’t have been good for his development. Starting pitchers are creatures of routine and habit. When that routine is interrupted or highly inconsistent, not only does it mess with them physically, but it also has an affect mentally. Urias is one of the most poised pitching prospects I have ever seen, but even he didn’t look like himself a many times in his MLB stint this season. And now, the remainder of his 2017 in limbo. The timetable of “indefinitely” could mean two days, two weeks, two months or more, and I guess the training/player development staff will know more when the second opinion on his shoulder comes back, but until then all we can do is hold our collective breath and hope it’s nothing too serious. Regardless of what happens, it might be best to temper expectations for the rest of his 2017 season. If he comes back strong and earns a playoff rotation spot, great. If he throws 20 innings the rest of the season and has no impact on the playoffs, that’s less great — but also more likely.